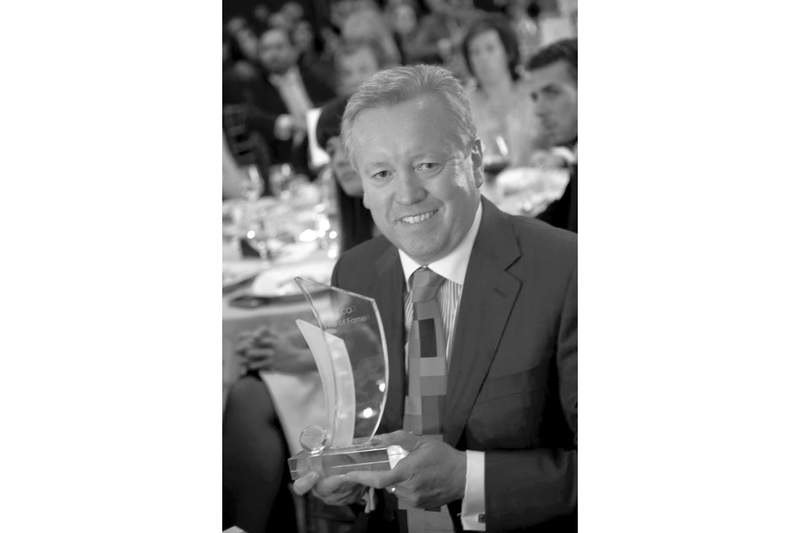 FleishmanHillard president and CEO John Saunders is Irish America’s 2016 Business 100 Keynote Speaker. He believes brands get the reputation they deserve, and he wants to keep it that way by holding them to responsible, authentic, and purpose-driven missions and practices. It all began with a horse race. It was late 1985 when the news broke that Budweiser would begin sponsoring the Irish Derby, catapulting its status to the richest horse race in the world and promising to bring a massive influx of capital to Ireland. John Saunders, who was then 27 and head of a fledgling PR company in Dublin he’d founded only three years prior, was a little peeved he hadn’t been tipped off. Saunders, who had worked at RTÉ as a sportscaster, got to work calling his news contacts to learn more. The announcement had come from New York, his RTÉ contact had said, so Saunders called Don Criqui, an NBC football broadcaster he knew (and current radio voice of Notre Dame football). Criqui didn’t know anything about it either, but he knew Mike Roarty, the director of marketing at Anheuser Busch (who is credited with the ad slogan “This Bud’s for you”), and passed along his number to Saunders. Saunders called and, very politely, he says, was told that he’d have to get in touch with the company’s PR firm, FleishmanHillard. Now, 30 years later, Saunders is president and CEO at FleishmanHillard, only the fourth in the company’s 70-year history. At six-foot-one, Saunders is an attractive man who looks younger than his 58 years and has a strong positive presence. Conversation comes naturally to him. He’s a good listener with an ability to create a meaningful connection, whether it’s through a common interest in sports, the arts, or keeping fit. These days, Saunders, who relocated from London to St. Louis for the new job, is busier than ever, traveling between Europe, Asia, and the Americas regularly. His wife, Jean, who he met during his time at RTÉ, still lives in Dublin. His children – Colin (33), Caroline (30), and Hannah (26) – all now live in London. 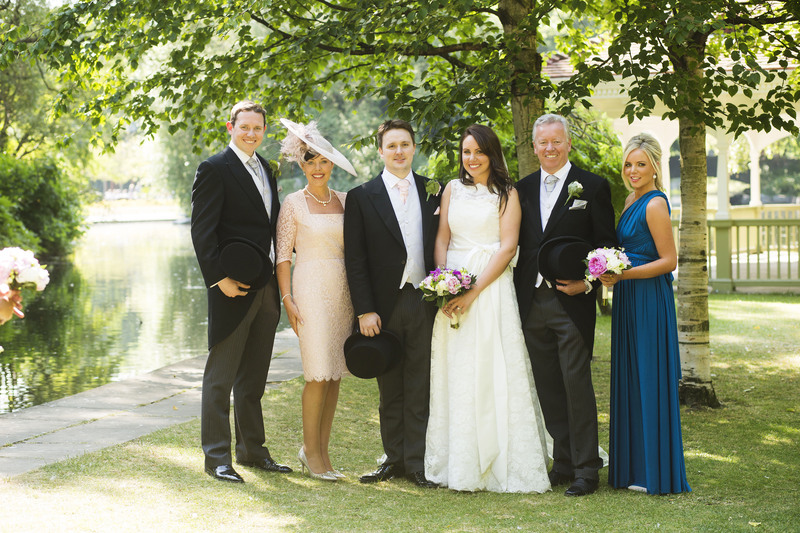 From left: Saunders’s son Colin, wife Jean, daughter Caroline with her husband George, Saunders, and daughter Hannah at Caroline’s wedding in 2013. It’s a trying schedule, and he depends on his Fitbit to keep him on track. Fitbit, the brand that changed our approach physical health by recording your daily fitness activity, is also one of FleishmanHillard’s premier clients. Others include Anheuser Busch, Enterprise Rent-A-Car, and Monsanto. It’s an extraordinary rise for a self-made kid from Artane, a hardworking neighborhood in north Dublin, but Saunders has always had a knack for making things happen and putting projects together. (It’s worth noting, too, that Artane itself has a history of producing extraordinary people, including Annrai O’Toole, who founded Iona Technology, and U2, which played their first show in the kitchen of drummer, Larry Mullen, one of Saunders’s close neighbors.) When Saunders was 14, he founded the first soccer magazine in Ireland simply, he says, “because there wasn’t one,” and that same year managed to get permission from his school to take a half-day to interview soccer superstar George Best. At 16, he was doing the public address announcements for Shamrock Rovers. By 19, he was on RTÉ radio and making the first of many connections he would later use to score the Irish Derby account eight years later. 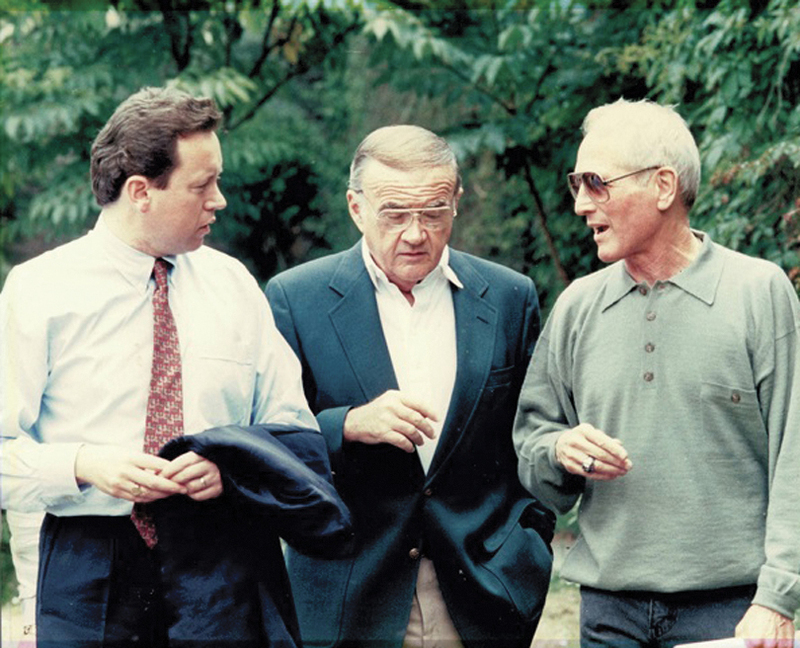 With Paul Newman and Budweiser marketing guru Mike Roarty at Barretstown days before the opening of the camp in 1994. John with the ICCO Hall of Fame award. ICCO is the global association for the PR industry. His parents both worked hard to send him and his two brothers to Belvedere, a fee-paying Jesuit school in Dublin. It was there, with his teachers’ encouragement and parents’ blessing and example, that Saunders was able to develop the skills and the confidence he has carried with him throughout his incredible career. Acknowledging this, Saunders remains humble, speaking of his professional highlights with a reassuring frankness and always paying thanks where it’s due. In the PR industry, relationships and personal connections are everything, and, as Saunders knows, people and companies get the reputation they deserve. Saunders’s own is well-earned; it’s his goal to ensure his clients earn theirs, too. With Julian Davis and Rhona Blake. John has worked with Rhona since 1985 and Julian since 1987. Rhona now leads the FleishmanHillard business in Ireland. Everything that I’ve ever really done in my professional life – RTÉ, PR – came out of my first visit to New York in August 1978. My friends, all college students, were in New York for the summer to work. We stayed out in Flushing, Queens, which at that time was a real Irish enclave. One of my pals, Paul Keogh, had a job at the Guinness-Harp Corporation and he told his boss Connie Doolan about my interest in sports journalism. Connie was very much the public face of Guinness in North America at the time, and he had great connections. He set up a meeting between me and Don Criqui, who did the early morning sports on WOR. And so, I found myself at four a.m. heading to the radio station to meet Don. And he was great to me. Here I was, 20 years of age in the 21 Club. I meet LeVar Burton who played Kunta Kinte in Roots and was in Star Trek. And then, Don took me to the U.S. Open Tennis Championship that evening, and I got to see Vitas Gerulaitis and Tracy Austin play. I loved it and I loved America. People were incredibly kind to me. Irish Americans were incredibly kind to me. People went out of their way to help me. And that has made all the difference in my life. 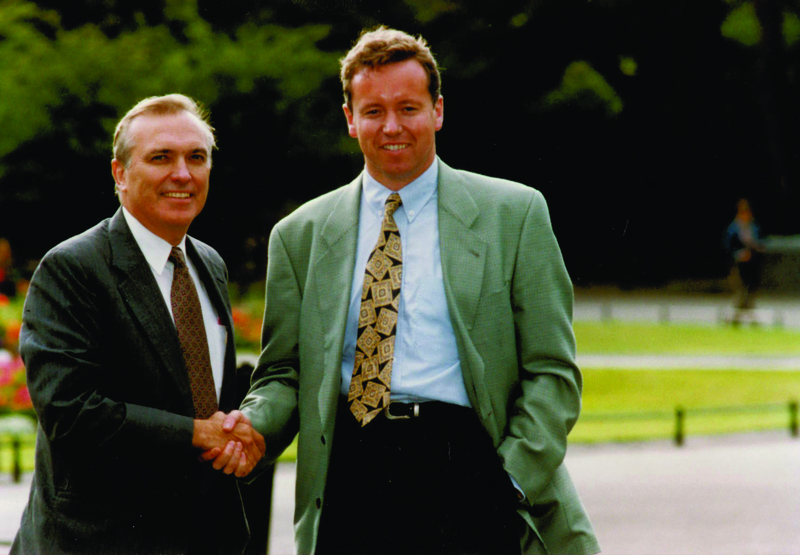 Dublin 1990: Sealing the joint venture with FleishmanHillard’s John Graham. What brought you to PR? I discovered that the kid’s ninth birthday was coming up, so I wrote to Fossett’s Circus and I said, “Look, if you give me a loan of your elephant to come up to my house and put it in the back garden, I will get you publicity.” And they wrote me back a lovely letter and said, “On Saturday the 3rd of August or whatever, we will arrive at 10 o’clock in the morning with the elephant, the clowns and everything else. We planned it all out with his parents and others in the neighborhood to keep it a surprise. 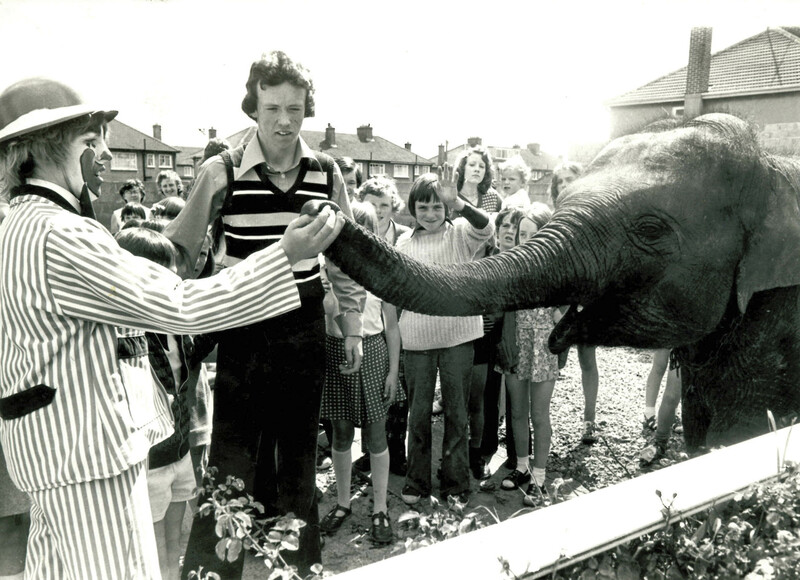 We put the elephant in the back garden and then we brought him over to meet, “Cindy the elephant.” It got pretty big coverage in the papers. I was always doing stuff like that. I remember coming home from school and my mother met me at the door asking, “What have you done now?” Two fairly burly looking police detectives were sitting in our living room and they wanted to talk to me. What had happened was that my brother was about to get married and I wanted to surprise him with a helicopter that would pick him and his new bride up after the church and take them to the wedding reception. I wrote to Irish Helicopters saying, “I have no money, but I will get you publicity if you give me a helicopter.” And they wrote back and said, “we can’t do it for nothing, but we’ll give you a year to pay, and we’ll charge you 30 pounds,” which was about $50. So deal. At the time, though, the Troubles were happening in Ireland, and there had been a couple of incidents where aircraft had been hijacked, so every helicopter maneuver had to be reported to the police. So that’s why the detectives, who had received a call from the helicopter company, were checking up on me. 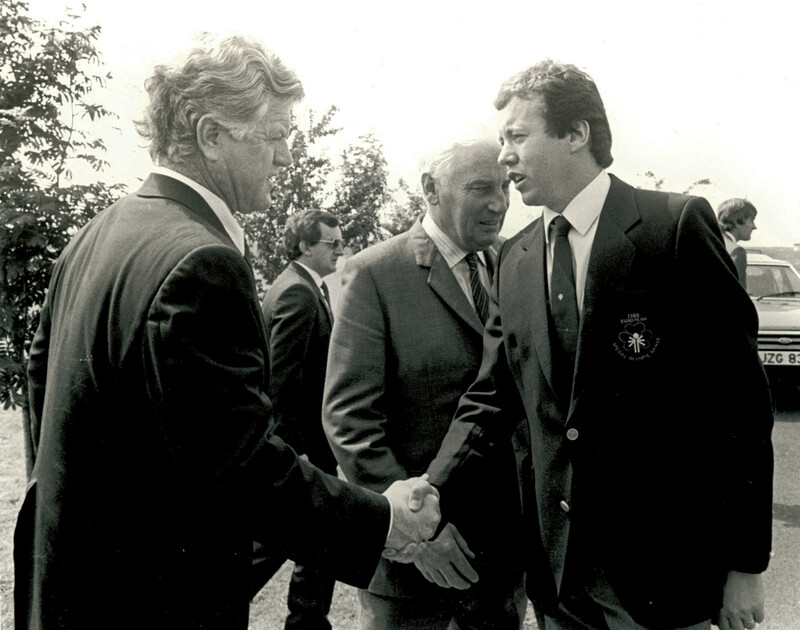 Welcoming Senator Edward Kennedy to the 1985 European Special Olympics. You had your own soccer magazine at 14; how did that come about? Soccer wasn’t a big thing in Ireland at the time, it was all about Gaelic games. I remember I got kicked out of gym for kicking a basketball soccer style. So I started a magazine with the money from the sale of a cow that I owned on my grandparents’ farm. It was the first soccer magazine in Ireland. I had a contract with the local parish newspaper. I did the layout, the interviews, did everything, and they printed it. And, with some of the guys from the neighborhood, I sold it on the terraces and at the football grounds. Then when I was 15, 16, I started doing the public address announcing for Shamrock Rovers, and Home Farm, two of the famous soccer teams in Dublin. Then I was asked – I was still in school – to do the international soccer matches. These were big games, like with 50,000 people. My French was terrible, is still terrible, but I can remember going to one of the Jesuits and saying, “Ireland is playing Switzerland in a World Cup game in a month’s time. Can you teach me how to do the opening in French?” And to this day I remember, Mesdames et messieurs, je voudrais bien faire… – which was the greeting I learned word-for-word in 1975 from Father Murphy. 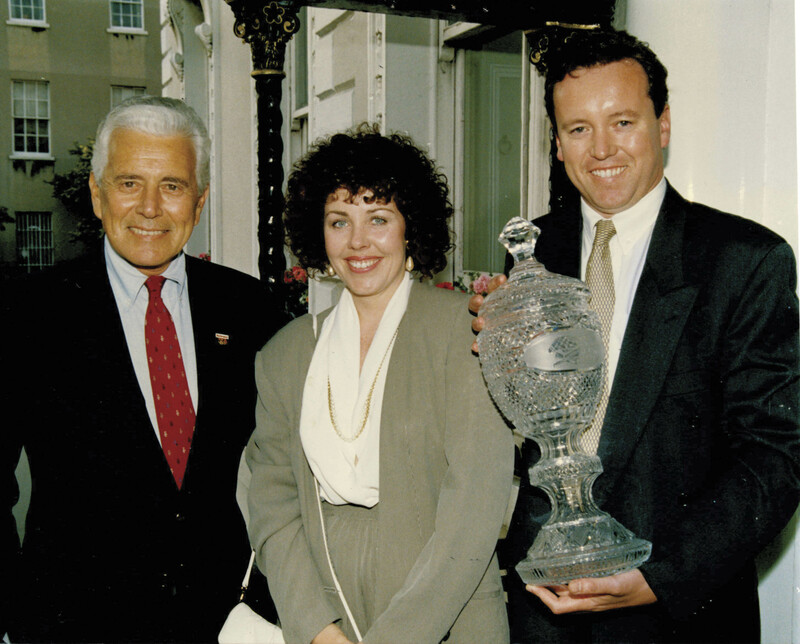 John Forsythe of Dynasty fame along with Jean and the Budweiser Irish Derby Trophy at Dublin’s Mansion House. How did you land at RTÉ? So much of life is luck, and good fortune about being in a particular place at the right time. Within a couple of months of leaving school, RTÉ held auditions for the first time in seven years. I knew the journalist conducting the auditions had a big love of a particular football team. It was kind of his private passion. So I did my audition about what a great team they were. They weren’t doing well at the time, but I talked of their legacy and everything like that. Anyway, I got the audition. And then in 1977 I started doing some reports on cricket matches, soccer, bits and pieces, one-minute reports. And within a few months, RTÉ decided to completely revamp its morning radio program, a big leap in Irish radio at the time. And I was asked to do the sports news – five mornings a week! I did that at the age of 19 with a guy called Mike Murphy. They added news, and light-hearted pieces, and they started introducing humorous letters read by a guy called Dermot Morgan who went on to became a legend as an Irish comedian. It was the only morning show in Ireland. It was the only show in town. Everybody listened to it, but one learned to stay modest. My name became pretty well-known but I was reminded often that it wasn’t because I was a great sports announcer or broadcaster; it was because I was a time check. “It’s now 25 past eight. Time for sports news. Here’s John Saunders.” And people would say, “Oh my God I need to be out of the house.” Or, “I should be at this point in the traffic.” Or, “I should be wherever.” If it was John Saunders it was 8:25. 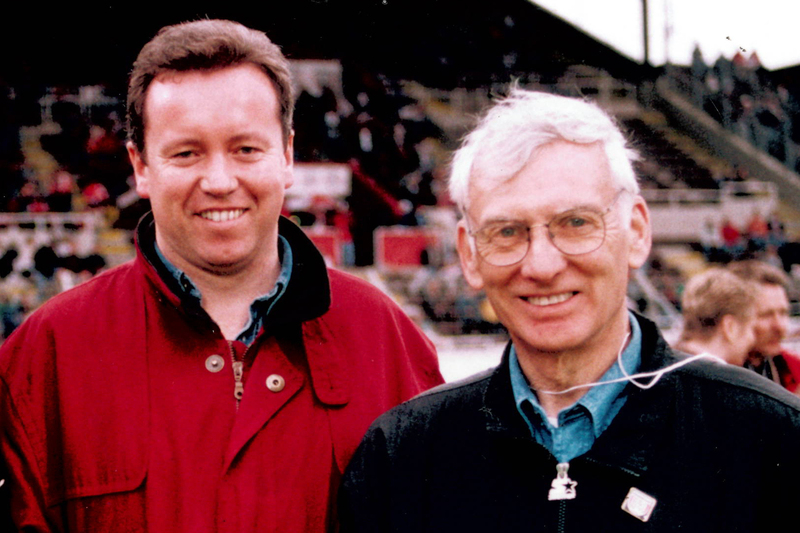 With Steelers’ owner Dan Rooney. When did you switch to PR? When I was 22, O’Connor O’Sullivan, one of Ireland’s leading advertising agencies at the time, decided they wanted to start a PR company, and they asked me to head it up. They said I could continue to work in radio if RTÉ allowed. That was a good deal to me, so I say yes. I had met a lot of business people through sports and my first clients included the National Sports Council, and the head of Bristol Myers. It was a great grounding in that the firm covered a lot of different areas – you were doing a little bit of healthcare, a little bit of crisis work, you’re doing brand work. I stayed there for only a year, and then some really seismic events in my professional life happened. I started my own PR firm and won an account for Manufacturers Hanover, the U.S. bank. Then the news came through that Anheuser Busch was going sponsor the Irish Derby. I phoned the sports desk at RTÉ, where I had a connection, and was told the announcement had come out of New York, not out of Ireland. Next I phoned my friend Don Criqui. He said, “I don’t know anything about it, but I have a very good friend at Anheuser Busch called Mike Roarty.” I phoned Roarty’s office and they were very polite and said I should talk to the company’s PR firm, and directed me to FleishmanHillard. And, we won the Derby account. In 1990, FleishmanHillard Saunders, was founded, and it grew to become Ireland’s number one public relations agency and one of the firm’s most successful offices. Showing early signs of a flair for publicity. John persuaded Fossetts famous circus to bring an elephant and clowns to a children’s birthday party at his parents’ home. He was 16. Tell me about your Irish American experience. It’s lots of things, but I like to think there’s a common thread of a generosity of spirit that goes through Irish America, and it’s why Irish America is so helpful to the Irish coming over. I certainly wouldn’t be doing what I’m doing today without people like Charlie McCabe at Manufacturers Hanover and Don Criqui at CBS television, Dennis Long and Mike Roarty, the president and director of marketing of Anheuser Busch. And later on people like Dan Rooney at the Pittsburgh Steelers. 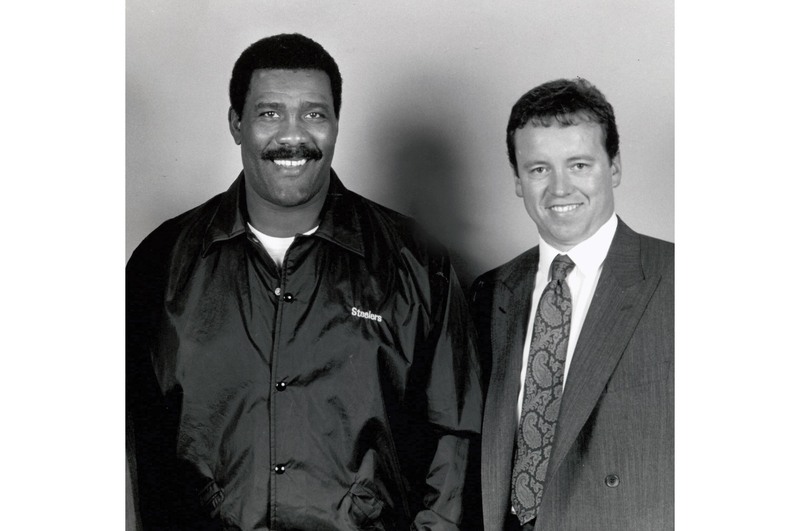 He brought the Steelers to play the Bears in Dublin and we worked on that game. Everywhere I turned people helped me. And not just in small ways, in very significant ways. The generosity of Irish America has made such a huge difference in my life. I don’t want to generalize, but I think my generation of Irish had talent, but sometimes I think a lot of us lacked confidence. The Irish Americans had confidence. I made my first trip to New York in 1978, before that most of my trips out of Ireland were to the U.K. where you were not made to feel that good about yourself if you were Irish. Now, that has all changed and we stand shoulder-to-shoulder with the U.K., but back then it was somewhat different. For me it was like you get off the plane here in New York and within the first 48 hours realize that for the first time in your life not only was it okay to be Irish, it was good to be Irish. Greeting U.S. 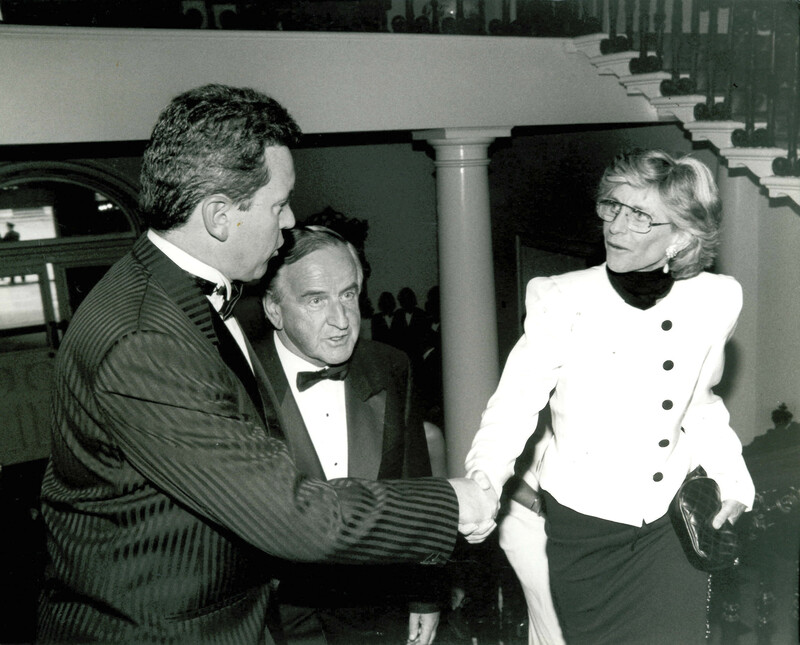 Ambassador Jean Kennedy Smith and Taoiseach Albert Reynolds T.D. at Dublin Castle. What’s the secret to being a good PR person? I’m a great believer in it being real, and my mother, who professes not to understand a lot about PR, will say, “we all end up getting the reputations we deserve, whether it’s in our personal lives or professional lives.” And to my core, I believe FleishmanHillard gets the reputation we deserve and I want us all in the firm to work to make sure that our clients get the reputations they deserve. Sometimes companies are made of great engineers, but they’re not great communicators, so we try to help them be understood. Also, very importantly, is when we can turn to a client and say, “That’s not good; you really need to change your behavior. The firm needs to change its behavior.” I think we do our best work when we’re working for people who are trying to treat their staff well and treat their customers well. And they are the companies that I would want to be associated with. There is a profound change happening in business. I see it breaking out everywhere, where companies are really trying to find out what’s their purpose, and it’s coming for many reasons, but it’s very much coming from their staff. It’s coming from millennials who are purpose-driven in a way that maybe people of another generation weren’t and they’re asking why are we doing this? What’s our legacy? I think these are all very important subjects. 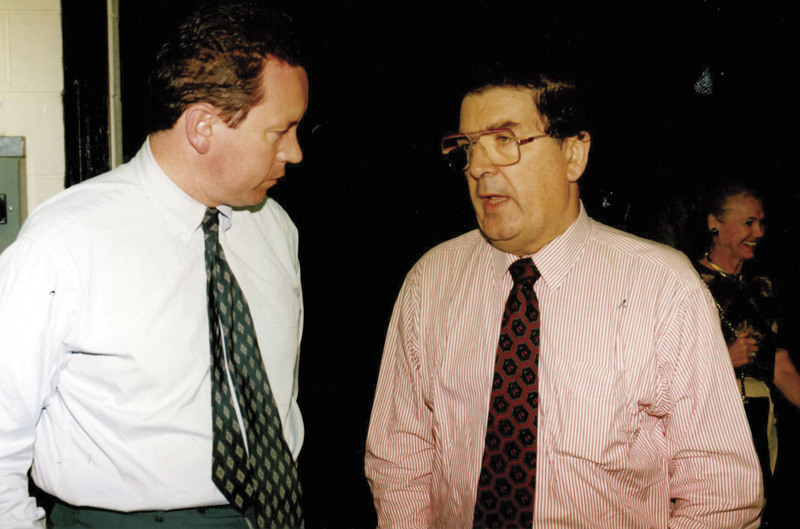 With Nobel Peace Prize winner John Hume. The big difference between what we in PR do and what advertising does is they are paid and we are earned. We are trying to persuade audiences of our argument, or the argument of the client, through content, through video. There’s a phenomenal shift towards the back-to-basics idea that content is king; companies that are succeeding online have to have really good, quality content, and if it’s not done in a way that’s attractive, people won’t read it. The blogosphere has created huge opportunities for people in terms of storytelling, too. And who better to tell the stories than PR people? 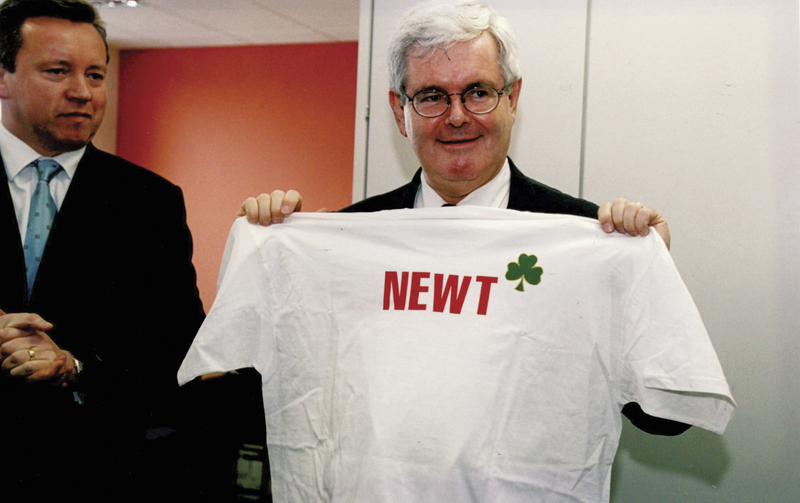 Having a light-hearted moment with Newt Gingrich. It seems that integrity is a priority for you. Well, I wouldn’t want to in any way claim exclusivity over it. I think most of us are brought up by our parents or family or friends to do the right thing, and I do think trust and reputation are hard earned; the reputation of great brands is hard earned and it can be blown very easily. So much of the time now people are looking for the story behind the brand, or they want to know that a brand comes from an ethical owner. That’s an increasing phenomenon of our time. And I think in the same way with my staff and me, I have to ask, “Am I just about vacuous words?” or, “What do I stand for?” I don’t get to make that decision; companies don’t get to make them – other people decide what your reputation is. I’m very conscious of that and therefore one has to be authentic. I do my best to engage with everybody in my life in a way that’s based on treating everybody as a peer. With “Mean” Joe Greene, four-time Super Bowl winner. What do you see that unites people globally? First of all, as a big sweeping generalization, I think the biggest gift you can give to other people is your energy, your personal energy. I think no matter where they are around the world people like being around people who are upbeat. There are some nuances in that; I think there are some countries where it’s a little darker, but I think people like that. And people are always trying to do better. I remember being in Tehran 14 or 15 years ago and talking to people there and I would repeatedly ask, “If you couldn’t be in Iran, where else would you like to be?” And every single one said America. America has the sense of positivity about it. Energy, being positive, I think people are attracted to that. The other thing that is really important for us all to learn, I need to learn it myself, is that God gave us one mouth and two ears so that we would listen twice as much as we talk. And everybody wants to be listened to. 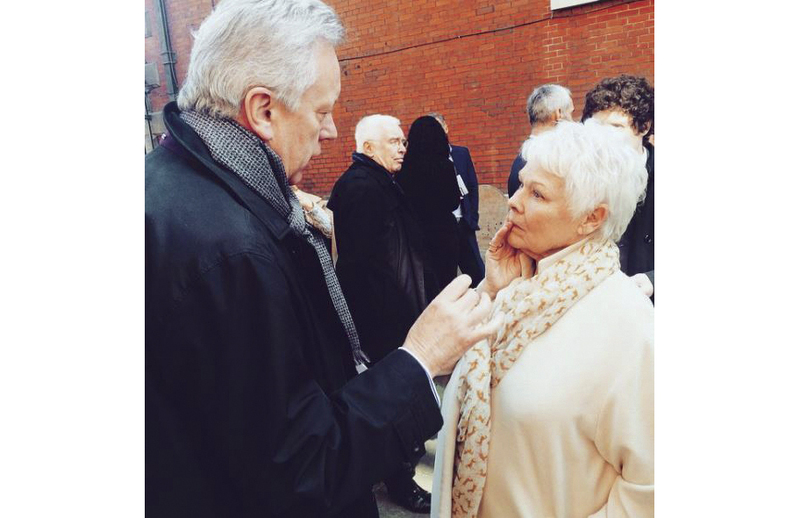 Chatting about the movie Philomena Dame Judi Dench. What has your first year as CEO been like? I was responsible for 15 percent of the business and the next day I had oversight of 100 percent. That’s a big responsibility and in this job it’s important to stay fit – mentally fit, physically fit – you owe it to people. I see my position as a joyous responsibility. People are looking to me to give leadership. I try to do that with very regular communication with staff. I try to show empathy toward people. It’s a very competitive market and the achievements in terms of this year would be that we’re going to have a very good year. We have a couple months to go, but, unless we screw it up, this will be the best year in the 70-year history of the company. 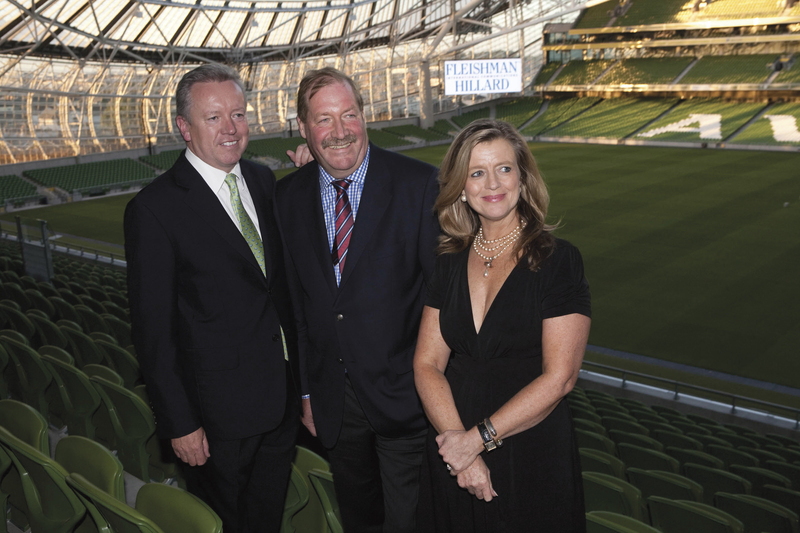 Now entering its fourth decade, the Irish America Business 100 has a long history of providing recognition to a fundamental core of American business. It can be easy to assume that the Irish in America and their descendants are a monolithic bloc, but as this list has continually shown, there is no single story of Irish American success, interest, venture, or course. Those we celebrate here come from all aspects of the unique environment of American entrepreneurs, from start-ups that promise to revolutionize overlooked markets to generations-old staples of the American consumer landscape. They are connected by their shared Irish heritage, and motivated by the same sense of immigrant drive, whether it was passed on through their ancestors or, for our Irish-born honorees, compelled them to immigrate to the United States in the first place. It was not that long ago that the act of hiring an Irish man or woman would have been considered a potentially risky act of diversification. Today, it’s impossible to think of corporate America without the Irish. Our honorees are a testament to the power of new cultures, new people, and new ideas. They are a living tribute to the fact that diversity, in all its forms, is what compels innovation and makes American life better for all Americans. We are honored to do our part to salute that ideal. Congratulations to all our honorees. This past Thanksgiving, as I made my way to a home-cooked meal with friends, I couldn’t help but reflect on my first decade in America, when I had to work every holiday. I was so grateful for my waitressing job, being an undocumented alien. Some might say I lived “on the fringes,” but for me life was exciting, a rich tapestry. I had a dream of freedom, classlessness, and opportunity, and I was determined to make it come true. “If you can make it here, you can make it anywhere” always struck me as odd, because here in New York is exactly where I wanted to be – and stay. This holiday I have adopted – and the recent election – had me feeling bittersweet and hyper aware of the immigrants I encountered at each stop towards my final destination. At Welcome Wine & Liquor, as I picked up my favorite Californian pinot noir from the Russian River (the grapes picked by Mexican migrant workers), I chatted to the Indian owner about what we have in common – a history of British colonialism and national flags that have the same colors. At Godiva Chocolates, one of the shop assistants was from Ghana, the other from the Dominican Republic. At the mention of the Dominican Republic my mind flashed back to a long-ago St. Patrick’s Day and my favorite chef, Roberto. Trying to maneuver in a jam-packed restaurant with a tray over my head, I “tenderly” kicked a firefighter in the leg. He yelped and got me in trouble. The owner’s son, Danny, called me a donkey and I fled to the kitchen in tears. Roberto, seeing my distress, left his burgers on the grill to pour me a glass of cooking wine. “It’s okay, Flaco,” he said gently. And it was. I’m no longer the skinny girl who earned the nickname “Flaco” from my Spanish-speaking workmates, but my memories are vivid of the short order cooks, the busboys, the cleaners, the waiters (particularly Bruno from Brazil! ), that I met over the 12 years it took me to get my papers. We were all from somewhere else, and that was our deep bond. We were all happy to be in America. No matter how hard the work and long the hours, we lived in hope. The 1965 Immigration Act, which still holds firm today, just about closed the door on legal immigration from Ireland. Those of us who emigrated after that were a long way from that first rung on the ladder. It didn’t matter how far earlier generations had climbed, we were stuck in limbo. We couldn’t go home and we couldn’t move up. But we never gave up. You see, the American dream is not so much a dream as a hope. The same hope that I had back then is burning in the thousands of undocumented Irish today whose path to citizenship is even more tenuous, more uncertain, given the unprecedented political stage. Those of us armed with papers, legal status, voting rights, must give a voice to those who can’t speak for themselves – the immigrants whose labors enrich our lives, who uprooted themselves and left their families for the chance to grow here and make a home – to become an American. In my vision of America, the rainbow has a purple hue. It’s the color you get when you mix red and blue. Note: President John F. Kennedy believed passionately that what gave America its “flavor” and “character” was “the interaction of disparate cultures.” He wrote about this in an essay called “A Nation of Immigrants,” which was published as a book in the run-up to the 1960 election. It has recently been republished by the Anti-Defamation League. For information on the Irish Lobby for Immigration Reform visit: irishlobbyusa.org. Ultimate Fighting Championship featherweight champion Conor McGregor (below) became the only mixed martial artist in history to hold two UFC titles simultaneously in November, when the Dubliner took down hitherto lightweight champion Eddie Alvarez at Madison Square Garden. U2 lead and lifelong humanitarian Bono was named among Glamour magazine’s ten Women of the Year in November, breaking a 26-year-long precedent of honoring, naturally, women. The magazine wrote that, while for years the Women of the Year advisory board, which is made up of past winners and Glamour editors, “put the kibosh on naming a Man of the Year on the grounds that men aren’t exactly hurting for awards in this world,” several events this year, including Obama declaring himself a feminist and the United Nations’ #HeforShe campaign, opened the board to the idea of naming a man. “When a major male rock star who could do anything at all with his life decides to focus on the rights of women and girls worldwide – well, all that’s worth celebrating,” the magazine wrote. Officially, the magazine named Bono their first Man of the Year, and recognized his work on the campaign “Poverty is Sexist,” which aids the world’s poorest women and seeks to establish a link between poverty and gender. American-based Irish designer Clodagh received the prestigious Manfred Steinfeld Humanitarian Award in November for her work with the Thorn Tree Project in Kenya. The award, given by Hospitality Design magazine, is given to the industry figure who has demonstrated extraordinary humanitarian spirit. Clodagh, who was born in Cong, County Mayo, has been involved with the Thorn Tree project since it was founded in 2002. The Thorn Tree Project focuses on providing basic education to the nomadic Samburu tribe in northern Kenya, one of the country’s most isolated. “I visit the children in Africa as much as I can, and watch them grow up from afar and become citizens of the world. I am determined to make their lives and the lives of others so much better,” Clodagh told Hospitality Design. Since 2002, the Thorn Tree Project has built 12 preschools, three elementary schools, as well as dormitories, and educated more than 1,500 children of the Samburu tribe, including putting some of the earliest students through college. In addition to the Thorn Tree Project, Clodagh also works with the Azama Project, which provides schooling and healthcare for the isolated town of Azama, Ecuador, and Ape Action Africa, which supports one of the largest primate sanctuaries on the continent. 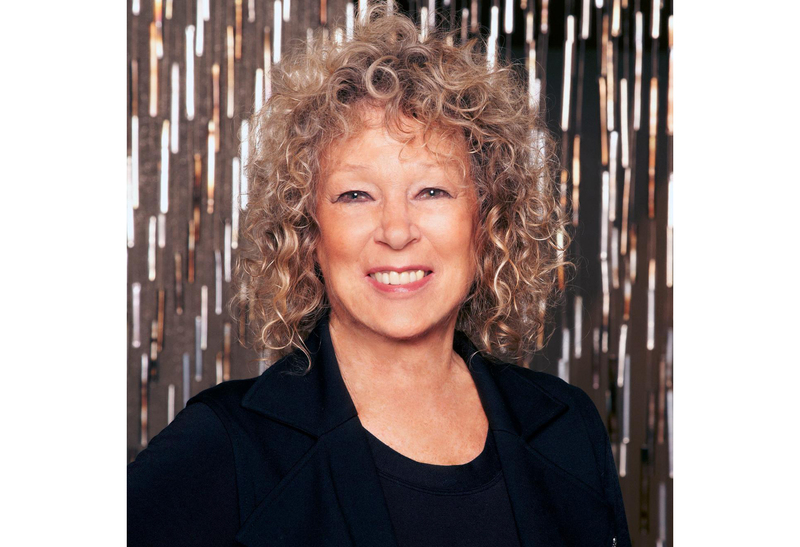 Among Clodagh’s professional projects include the Modern terrace at the Museum of Modern Art in New York, the White Horse Spa in Doonbeg, County Clare, and the W Hotel and Residences in Ft. Lauderdale, FL. In October, the Irish government made a contribution of €5 million ($5.55 million) to the Turkey Refugee Facility for victims of the Syrian civil war. Following a subsequent meeting with E.U. Humanitarian Aid and Crisis Management commissioner Christos Stylianides, Irish Minister for Foreign Affairs and Trade Charlie Flanagan announced that another €2.5 million ($2.78 million) would be given to the cause. This contribution will bring Ireland’s total funding of Syrian refugee aid to over €62 million ($68.88 million) since 2012. Last year, the country spent over €142 million ($157.77 million) on humanitarian aid across the globe. The third annual “International Bake Bread for Peace Day” was celebrated across the world on October 24th this year on Facebook, with countless people baking and posting photos of their bread loaves on the site. As global as the day now is, its origins are resolutely local, begun by Breezy Kelly of Glenties, County Donegal. Last year, Kelly took to the roads of Northern Ireland with her dog, Sheila, and a bag of soda bread in hand. Journeying through all six counties, she baked bread, sang, and told stories with the people of every town. She ended her trip on the steps of the government buildings in Stormont, Belfast, where she baked with members of the Northern Irish Assembly from different political parties in a public demonstration to promote peace. Breezy chose breadmaking as a common ground for peacebuilding because the practice is present in almost all world cultures. With the help of social media, she encouraged schools, workplaces, and households to bake loaves of bread to help foster international “harmony, neighborliness and a sense of community.” Since then, she has been welcomed to homes in Ireland, the U.K., and beyond to roll out her vision. ICON plc, a Dublin-based global provider of drug development solutions and biotechnical, pharmaceutical, and medical device services, announced in October that Irish America Business 100 honoree Ciaran Murray will transition from the role of company CEO to chairman of the board of directors, effective March 2017. Northern Ireland is set to lose its only direct flight to the U.S. United Airlines chose to end the Belfast to Newark service, effective from the start of January, citing the route’s “poor financial performance” despite the promise of a multi-million-pound support package from the Northern Ireland Executive in order to secure its continued operation.